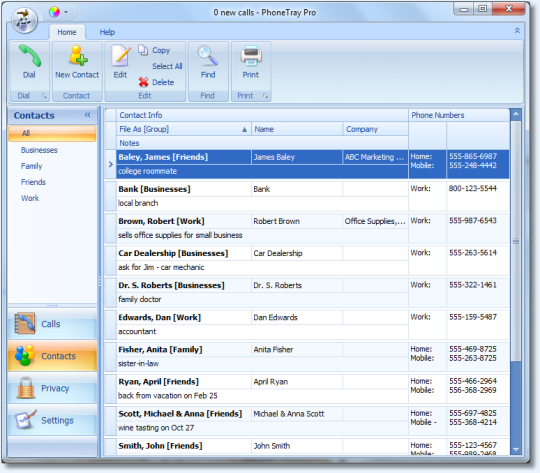 PhoneTray is the ultimate Call Blocking and Caller ID software. It shows and speaks the caller's name and number before you answer the phone. 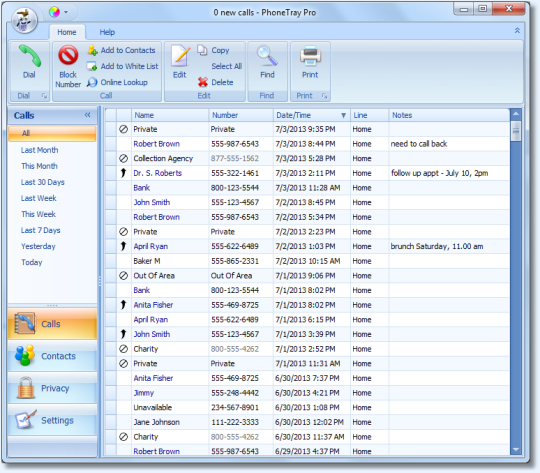 PhoneTray logs all your incoming calls and can reject any unwanted call by answering and playing selected message. PhoneTray can automatically zap telemarketers with a special disconnected tone. It can play Federal do-not-call warning forcing telemarketers to remove you from their calling lists. New version uses default system fonts, making all text more legible. 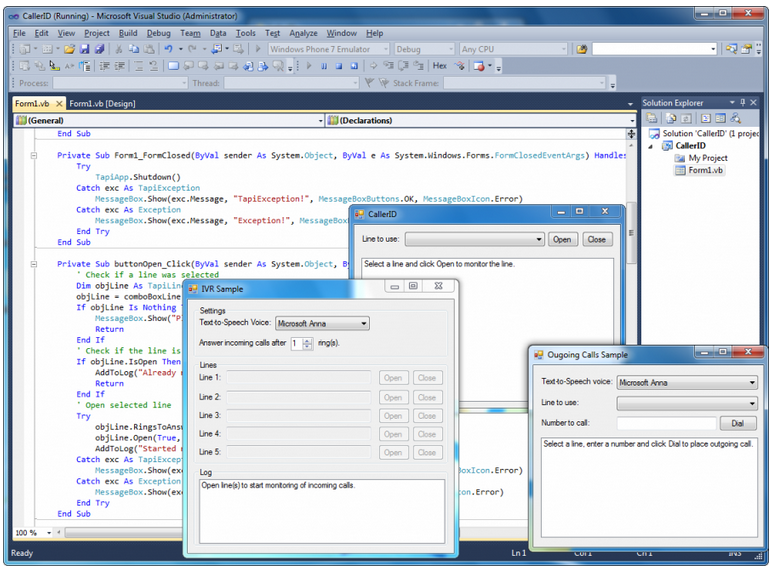 Added 9 new skins: Office 2010 Black, Office 2010 Blue, Office 2010 Silver, Office 2007 Black, Office 2007 Blue, Office 2007 Green, Office 2007 Pink, Office 2007 Silver and VS2010. To change the skin in PhoneTray, click the Skins button in the upper left corner next to PhoneTray logo. 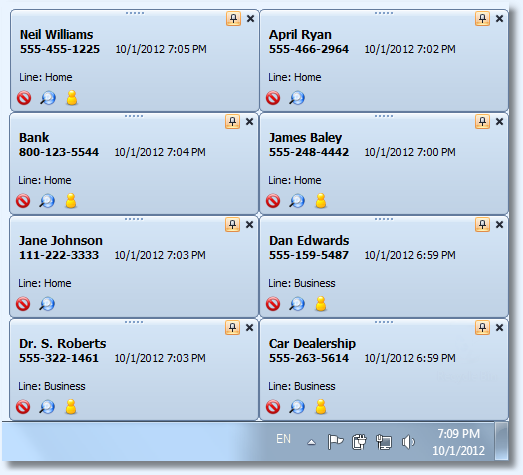 Now you can re-arrange the columns on the Calls and Contacts screen by dragging the column headers. Added an option to disable checking for software updates. Transparent background for full screen alerts now works properly. Other small fixes and improvements. New more reliable software update system. 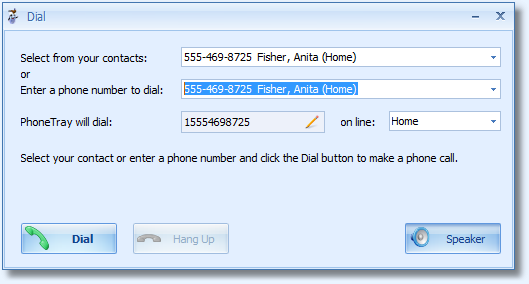 Added support for phone numbers with extensions. 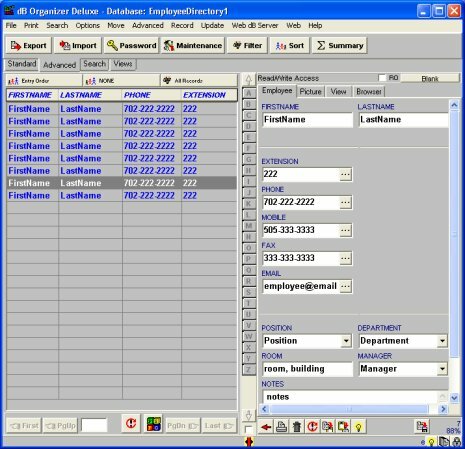 Now PhoneTray can import contacts from CSV files created by Outlook, Google Gmail and other programs. Added an option to dial area code for local calls (10-digit dialing). Added Ctrl-Alt-D hotkey that quickly opens PhoneTray dialer. Added 3 new skins: Seven, Seven Classic and Pumpkin.